Gujarat are back in Syed Mushtaq Ali Trophy action as they take on minnows, Bihar in a Group B fixture on Wednesday. After a disheartening one-run defeat to Tamil Nadu, Gujarat surrendered top spot to Vidarbha while Bihar were completely outplayed by a rampant Himachal Pradesh side in the previous round of fixtures. Buoyed by the presence of Axar Patel and Priyank Panchal, Gujarat have done well so far and will be looking for nothing but a win against Bihar, who are yet to open their points tally. With home support also in their favour, this should be a cakewalk for Gujarat although Bihar do have the resources to spring a surprise. Not many changes are expected from Gujarat as they seem to have found the ideal combination. Piyush Chawla and Axar Patel have borne the responsibility of the bowling unit while the trio of Panchal, Patel and Raval have impressed with their batting prowess. Chirag Gandhi almost took Gujarat home against TN with a superlative show with the bat and will be backed once again to put in a good performance. Possible XI: Urvil, Panchal (C), Raval(WK), Gandhi, Axar, Mehta, Chawla, Hemang, Tejas, Hardik and Arzan. After a poor performance against HP, a few changes might be on the cards for Bihar. Ashutosh Aman and Rahmatullah failed in their previous encounter, which was a key factor to their downfall and will be heavily relied upon, on Wednesday. Babul Kumar and Mangal Mehrur are capable of scoring runs at a good rate and will hope to put in good performances against a formidable Gujarat side. Possible XI: Babul, Piyush, Mehrur, Rahmatullah, Keshav, Asfan(WK), Aman(C), Vivek, Prashant, Samar and Das. Wicket-keeper: Dhruv Rawal has already shown is penchant for boundaries in his blazing innings in the Syed Mushtaq Ali Trophy 2019 so far. He is the ideal option and should be backed ahead of his counterpart, Asfan Khan. Batsmen: Priyank Panchal and Urvil Patel are great options to have in the side with their form also justifying their selections. Rahmatullah is one of Bihar's best batsmen and should be backed to score some runs while one of Mehrur or Babul Kumar should suffice in the batting department. All-rounders: Axar Patel and Ashutosh Aman are the lynchpins of their respective sides, making them must have players in the fantasy team. Hemang Patel has also impressed for Gujarat and could be a handy option as well. Bowlers: Piyush Chawla was brilliant in their previous match and a bowler of his calibre shouldn't be ignored. Along with him, the likes of Vishal Das and Samar Quadri are also viable options to have in the side. Prasant Singh could also be a clever option and slot in for either of the aforementioned duo. Captain: Axar Patel bats in the top six and bowls four crucial overs, bound to yield a wicket or two on most occasions. His superior all-round skills make him the perfect captaincy material for the fantasy side while the likes of Priyank Panchal and Dhruv Raval are also great options to have in the side as captain. 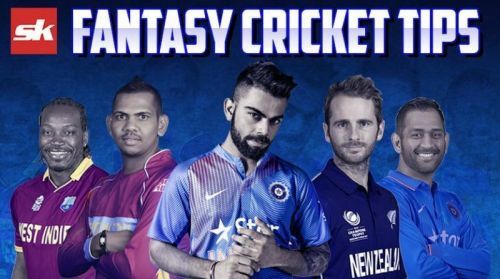 Fantasy Suggestion #2: Dhruv Raval (WK), Priyank Panchal, Chirag Gandhi, Urvil Patel, Rahmatullah, Axar Patel, Hemang Mehra, Ashutosh Aman, Piyush Chawla, Samar Quadri and Vishal Das. Captain: Priyank Panchal.